Using the same piece of music in adverts year after year helps people to like and remember your brand. Think Etta James's - "I just want to make love to you" for Diet Coke. Their EEG (electroencephalogram - electrical signal from the brain) results were statistically significant for Radio and NOT for TV. Whether using music ‘strategically' (consistently across advertising campaigns) or ‘tactically’ (changing music across campaigns) had a greater positive impact on participants. They measured both the subjective (stated responses) and objective (electrical signal from the brain - EEG) reactions from participants. The EEG metrics they used included engagement and motivation or approach and avoidance (positive or negative emotion) - 2 of the 3 metrics we use in our HeyHuman BrainKind Products. Objective (electrical signal from the brain - EEG): They found that for radio ads, people were more engaged and were more positive during ads with strategic music. 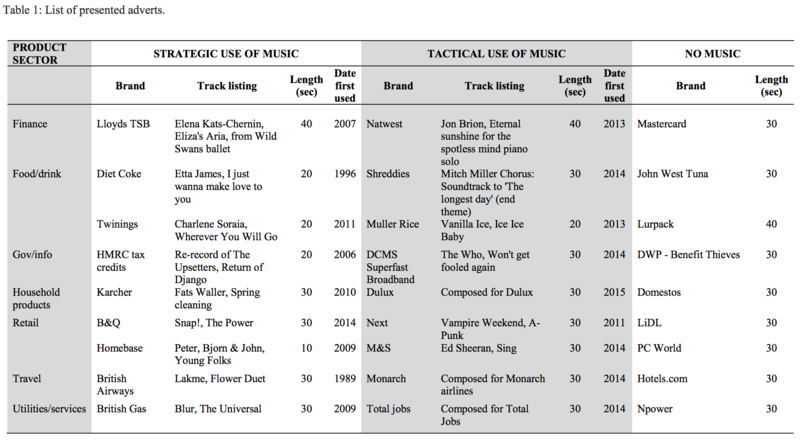 They didn't find any significant difference between strategic and tactical music for TV ads. Although there was no difference between TV and Radio for people's stated responses, there was on a subconscious cognitive and emotional level - highlighting the discrepancy between people say and what people really think. Given that TV ads have the added visual consistency of key brand assets(KBAs) it is no surprising that having consistent music is less important than radio - where audio is the only medium. Having said that given an increase in multi-screening behaviour - we should not underestimate the importance of audio in TV, with audio jingles also serving as effective brand assets. Only 16 people took part in the study, and although neuroscience studies don't require large sample sizes due to little variance between participants- a sample of 25-30 would instill more confidence. The stimuli were a selection of ads from the past 30 years, and therefore varied a lot in age and familiarity. It is important to have consistent stimuli in experiments with as little variance as possible to ensure we are measuring the desired effect.